tablets uniform in size but with a 5 g variation in weight between each set. 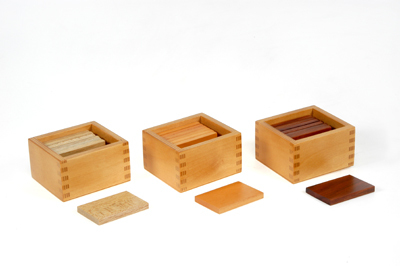 Each set is made of slightly differently coloured wood and is kept in a sturdy box with a sliding lid. 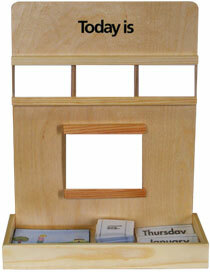 Purpose: To enhance the child's perception of small differences in weight.